I'd guess its somewhere in the 4-5 ms range at a 64-sample buffer. As long as you can use that buffer size without ASIO dropouts, it should be low enough to play virtual instruments with no noticeable delay. Edit: If you're wondering what the "USB Streaming Mode" stuff is, it is an additional latency setting that ranges from "Minimum Latency" at 1 ms to "Extra Safe" at 32 ms. This setting restricts which buffer size you can use at any given time - to get the lowest latency you would set USB Streaming Mode "Minimum Latency" and ASIO Buffer Size to 64 samples. Thank you AresHarvest! This is exactly the information I was looking for, and the numbers are indeed quite good. I'm already running at 64 samples today with a USB 2.0 Roland UA-S10 but it doesn't have a toslink or coax output. I'm going to order a D10 right now, this is perfect. Looks like I didn't see your reply at first, I was editing my comment with more info about latency scaling inversely with sample rate. You probably already know how it works, but I added just in case. I was editing my comment with more info about latency scaling inversely with sample rate. You probably already know how it works, but I added just in case. Yes, you are correct. It's another reason I use 48 kHz. Most modern instruments tune their internal algorithms to 44.1 and 48 and a few do 96. Anything above that turns into a crap shoot depending on the vendor. The lowpass filter models in particular will exhibit additional partials folding back from Nyquist. I'm very happy with these results considering the next cheapest alternative is $129 (Zoom U-44) and I suspect the build quality compared to just a DAC. And what exactly I thought that AK4490 is better. Thanks in advance excuse for my English. Interesting bit of Topping D10 behavior. My son just got a new laptop and I inherited his 3 year old Toshiba Chromebook. As the D10 was sitting next to it I decided to give it a shot. It has two USB ports, one 2.0 and one 3.0. Plugged into the 3.0 port the D10 will rapidly cycle between the DAC and the built in audio making for a stuttering sound on both the laptop and DAC. Plugged into the 2.0 port it works fine. However, similar to many Android distributions it resamples everything to 48kHz as displayed on the D10. I'd also assume iit's 16 bit as well, but I can't confirm. So not what I'd recommend for critical listening. Edit: oops, I didn't pay enough attention - you're on a chrome book, so my windows-centric instructions aren't relevant. Thanks, thought I was going nuts. I'm running the beta channel and thought maybe that was it. Hi. Understanding that English isn't your native language. 1. Design is just as important as component choice. 2. I don't believe Amir has measured a Breeze based on the AK4490. So your question can't really be answered. If you want an inexpensive DAC that measures well the D10 is good choice. I can not answer the question because your style of use is unknown, but for general users it would be more happy to buy D10. I am convinced that way. I just bought myself a pair of JBL LSR 305 last week, and I'm pretty impressed how they perform. The only problem I currently have is that I connected them to my motherboards sound card Realtek ALC892, and I suffer from ground loop issues. Will even my untrained ear hear any difference between my current sound card, and a Topping DAC? I hear clearly the difference between my laptop thinkpad X230 DAC an my D10. Difference is thighter Bass better stereo Image an overal more controlled detailed sound. However the laptop does not sound bad in comparison with the D10 its more laidback. I've ordered up a D10 to frontend a Modi Multibit but I'm not sure which digital out to feed it with. I didn't see a "Review and Measurements" on the Multibit so I'm not sure which input to go with. Who knows? I might decide I like the D10 better and sell or repurpose the Multibit. Anybody have any thoughts on this? I'm leaning towards coax in. I didn't see a "Review and Measurements" on the Multibit so I'm not sure which input to go with. I have been remiss in reviewing my Modi Multibit. Hopefully I will get to it soon. @amirm No worries mate! I look forward to reading your review on that. I'm very new around here but I can see that you are a very busy man. Thank you for all you have done. I've learned so much in the last few days reading a good number of threads and reviews. For example, I was about to buy an EITR and then I read your review on the Topping D10. I can't wait to get that in 2 days and put it through its paces. I thought you've measured the Bifrost Multibit? The Modi Multibit should be more of the same thing, or rather less. Hello. To Amirm, Can you test and make some measurements for Burston V5i-D, Muses8920, OPA1612 and LME49720 opamps ? I have D10 2 months. Now I have LME49720 and it works perfectly with Win10+Foobar2000. I would like to know if opamp update improves sound. More details, cleaner vocals and higher highs. Thanks for that link. Interesting (and fortunate) that the OP2134 performs marginally better than other options in the D10, and even then the results are too close to be of any consequence. Thanks for taking the time to measure and review this DAC, and also for looking into a few OpAmp swaps, Amirm. Additionally, thanks to others in this thread for their continued testing and dogged badgering of Topping to update firmware. I took a punt based on what I read here and a couple of other littered posts around the web. I am absolutely blown away by this little box. It is far exceeding expectations. We took an evening of listening through the HiFi (Foobar2000/WASAPI (push)) and thought it was pretty nice, no complaints. The next evening we took the liberty of a subjective and unscientific listening test against our CD player, and it basically sounds the same, just 1dB quieter. 3 of us were listening and I had both Fb2k and the CD player in sync so we could switch sources, and also delayed one behind the other by 5-10s so we could hear a part repeated, we just couldn't really find any difference in tone or sound stage or any other audiophile term you wish to chuck around. The CD player was a Yamaha ~8 years old. One thing I did notice, probably the USB power being iffy or the netbook/windows being clunky, over some time we'd hear an odd click or pop, and then things sounded a bit like a garble of dull clicks that seemed to get worse. I simply paused Foobar2000 and unpaused an they went away, back to clean sound. I'm thinking it might be a buffer issue or power. I've had it playing from an HP Intel N3710 (USB3.0) system most of today, into an ASRock X370 (Ryzen) ALC1220 motherboard then to desktop speakers and I haven't heard any problems at all, so I am not inclined to believe it's the DAC, more the netbook. As a matter of completion, I will mention that I've sometimes had a bit of trouble getting a Canon scanner to start up on the netbook, it's USB bus powered too. Netbook is running Windows 7 Pro, and the DAC didn't install a generic driver, just came up as not installed correctly. Installed the downloaded driver and it seemed to connect OK, except for that odd behaviour described above. All sample rates and DSD native and DoP work fine. Switching sample rate is silent, unlike the old PCI M-Audio 2496 I have (retired) which did a hissy pop/tick. 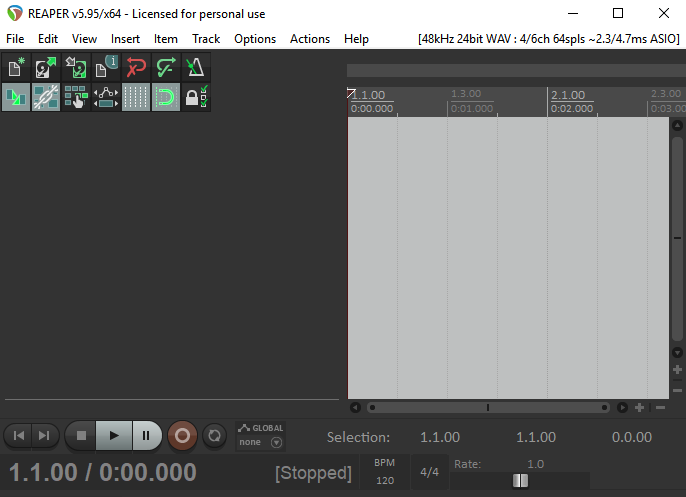 It's just a shame there is no way to get bit perfect sound (with on-the-fly sample rate switching) out of WiNE in Linux, else I could ditch the Windows 10 Home partition on the HP laptop. Damn thing is trying to shove 1803 on me, and I am steadfastly sticking to 1709. Linux Mint is faster and hits the CPU less and doesn't nag about updates. It's just that faffing with an ASIO wrapper and JACK to get stuck at one sample rate is too much to bear. I'd try harder with a native Linux music player, but they do not do what I need them too, they are not Foobar2000! D10 is 1808 v1.02 I think it said in the drive window. I have ordered another unit, it sounds great and I'll use it into powered nearfield monitors until I get a new audio interface/sound card, at which point I'll probably still use it but with a 2>1 line switcher and 'big knob' volume control.